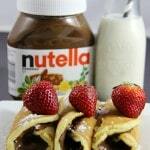 Recently I had the opportunity to spend a morning creating Nutella® recipes with Chef Stefano Faita it was a Nutella® lovers dream! Great food, lots of laughs and an opportunity to work with a chef that really takes families into consideration when developing recipes. From a homemade family granola recipe to new and unique tastes like Apple and Carrot Latkes Chef Faita’s recipes are perfect for using your Nutella® Spife. I may not be smiling but I am dreaming about the fantastic recipes we are creating. 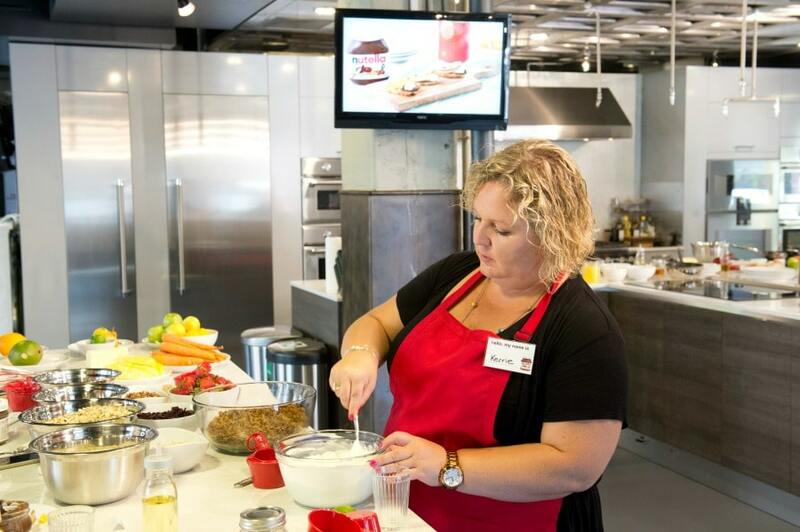 I loved learning that Nutella® is made with the same recipe around the world and they have been using the recipe for decades. 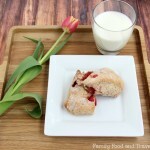 Today we are sharing a recipe for a make-ahead breakfast that’s perfect for busy back to school mornings. 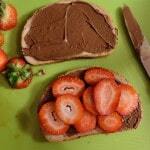 With fresh strawberries and Nutella® you cannot go wrong! 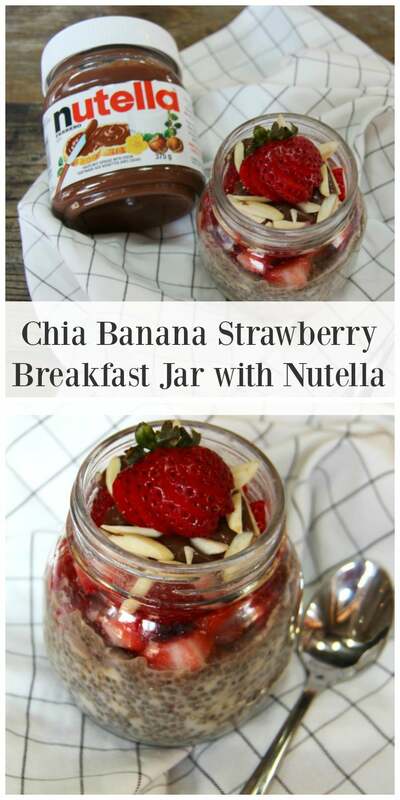 Place the Chia seeds, banana and milk in the Mason jar. Using a spoon, gently stir the ingredients making sure the chia seeds do not form lumps. Close the jar and place in the fridge for at least 4 hours or overnight. Open the jar and give it a quick stir. 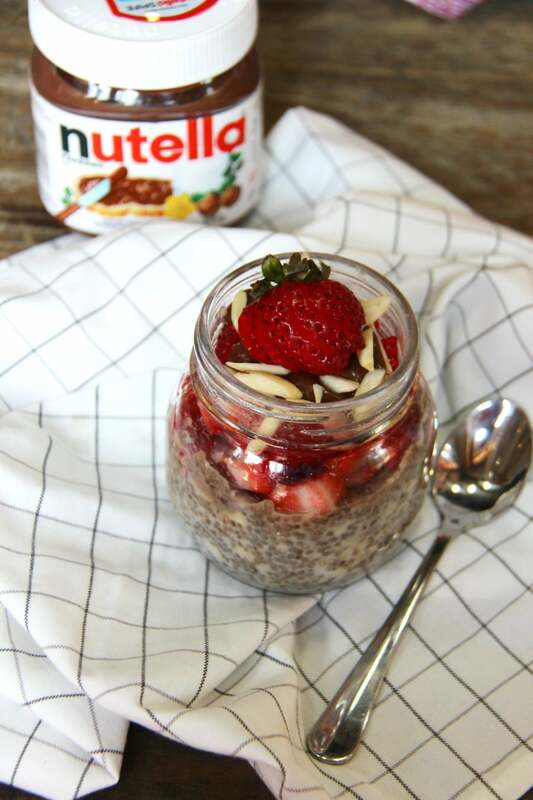 Serve this Chia Banana Strawberry Breakfast Jar with Nutella with 1/2 cup (125 ml) of milk and a slice of whole grain toast for a balanced breakfast. 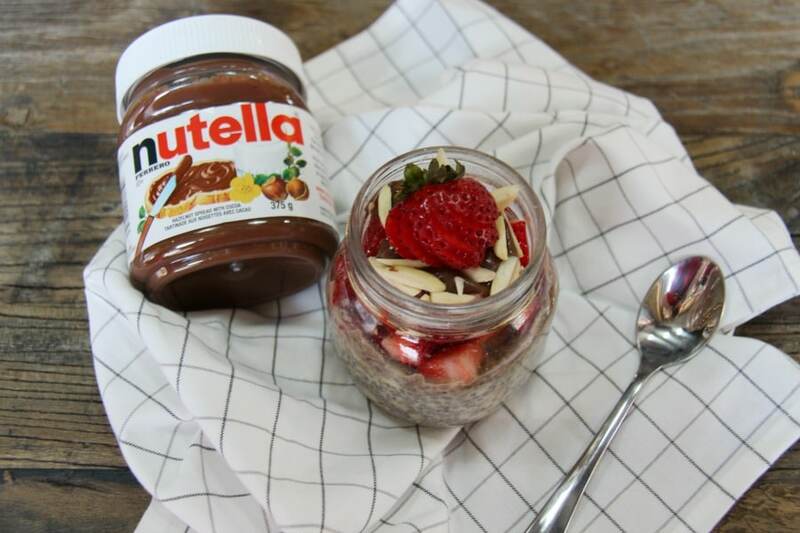 A delicious make-ahead breakfast featuring fresh fruit, chia and Nutella. ½ cup milk Can also use almond milk, soy milk, etc. What is your favorite on-the-go breakfast? We also love this Quinoa bowl, Chicken and Egg Mug, and these Freezable Ham and Egg Muffins. Have a bit more time? Our Chocolate Chip Waffles are a sure crowd pleaser. 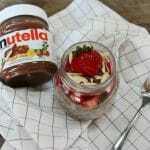 Disclosure: I am a Nutella® Ambassador and receive compensation and copious amounts of Nutella®. As always, all opinions are my own.